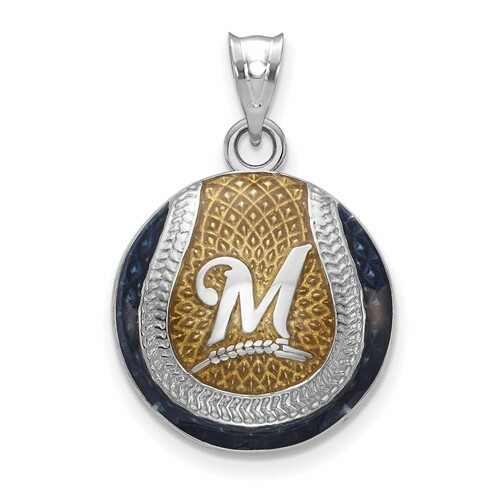 Milwaukee Brewers baseball pendant is made with straw and blue enamel and polished sterling silver. Item size: 3/4in x 3/4in. Officially licensed MLB jewelry. Fits up to a 4mm wide chain. Weight: 7.9 grams. Made in the USA.